Turkish club Besiktas has confirmed that they are currently talking to Valencia midfielder Manuel Fernandes. Fernandes has been frozen out at Valencia, and after the capture of Mehmet Topal this summer, his playing time looks to be cut even shorter. 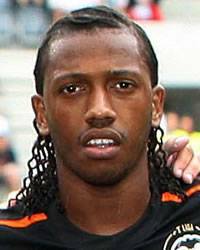 Manuel Fernandes stormed onto the soccer scene when he was seventeen, and he scored on his debut for the Portuguese National team, in 2005. Since then, he hasn’t enjoyed the best of times in Spain, but has still managed to play for the National team. If he indeed makes the move to Besiktas, he will join fellow countryman Ricardo Quaresma.